Working in a metal factory? Or looking for some fire resistant uniforms for your employees? If yes, then you have thought it absolutely right! Well, needless to say, that there are a lot of requirements when it’s about Fire resistant costumes. If you are working in a factory, then fire-resistant clothing is something very important that you should wear on at work. So, what exactly is a fire resistant clothing? 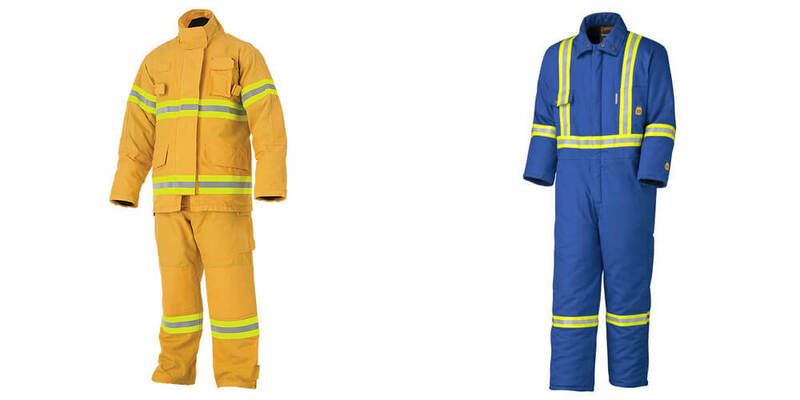 Fire resistant clothes are always an utmost need in any industrial sector or the workplace. So, you might have already understood the functioning of the Fire resistant clothes, and what does it exactly do? Yes, it protects you from flames and exposures; it’s partially true! Because, these clothes not only guard you against fire and explosions but also protects you from potential geological flames and another several kind of thermal elements and exposures. Isn’t that cool? Yeah, it is! To get more, the fire resistant uniforms are designed to protect you from several fire injuries and physical damages from flames. Also, these uniforms will not catch fire, and even if it does, it will be extinguished automatically- as it is engineered with such an advanced fire protection technology. Another benefit of wearing such uniforms is it ultimately helps you with maximum time to escape the flammable environment too. It provides an optimum chance of survival, if you find yourselves in the middle of some exposure or flammable situations or probably unsafe environment, this would be a great clothing material for you. So, now we know what exactly is a Fire resistant clothing, but who needs to use it, is a question here! To be honest, we all would need it, the cooks, factory workers, electric board workers, firefighters, and of course, everyone, because we cannot be sure about flames and explosions. But, fire resistant uniforms are the one that almost all the factory workers and labors have to wear. In fact, every company has to provide these equipment to its industry workers which makes them comfortable, and safe throughout their working hours. Well, fire resistant clothing, are never to be avoided by any of the workers, as it provides great safety. Fire resistant clothing helps you with more of survival time in case of any flame exposures and fire. Also, these clothes have to be more relaxing and convenient for the workers, which actually doesn’t irritate the workers.